Huntsville Municipal Golf Course, also known as 'The Muni' was recently renamed to the Becky Peirce Golf Course (BPGC) in honor of Ms. Becky Peirce. The course is located 3 miles for downtown Huntsville, Alabama and is open to the public 363 days per year (closed Thanksgiving & Christmas). BPGC is a 18 hole, par 72 course with bent grass greens and bermuda fairways & tees. It measures 6824 yards from the longest set of 4 tees. The course has a rating of 72.1 and a slope rating of 126. The facility also offers a driving range, a short game practice area, putting green and a snack bar. The course was originally built in 1956. The course was completely re-designed and renovated to it's current configuration in 1986 by Denis Griffiths, ASGCA. The course has been operated and managed by Robertson Golf Management, Inc. since 1998. Please call 256-880-1151 for current rates. From the airport: Take I-565 east to the Memorial Parkway (US-231/431). Exit south onto the parkway. Exit the parkway at the Airport Road exit. Turn right at the light onto Airport Road-Johnson Road. Take a left at the second light and follow the drive past the Tennis Center to the clubhouse. Call 256-880-1151 for rates and tee times. Contact Becky Pierce Municipal Golf Course at 256-880-1151 for more information and details on holding a golf outing at the course. Contact Becky Pierce Municipal Golf Course at 256-880-1151. 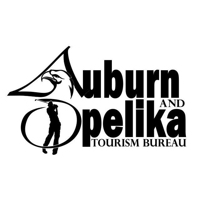 Contact Becky Pierce Municipal Golf Course at 256-880-1151 for onsite or nearby dining options. This profile was last updated on 07/19/2018 and has been viewed 7,874 times.